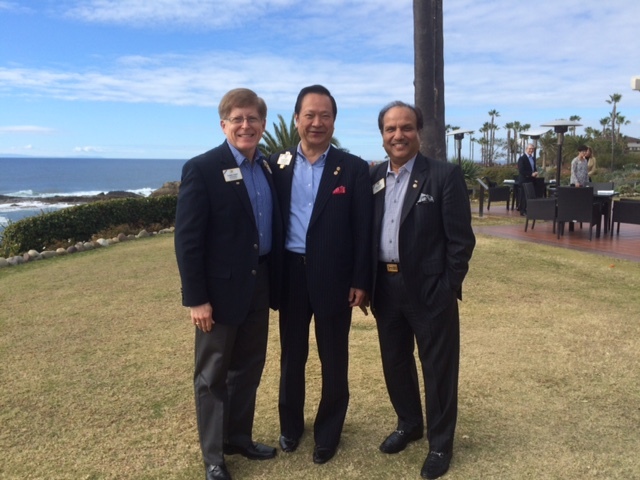 ID Robert with President Yamada and 2VP Naresh Aggarwal just before the rains came to Laguna beach. Laguna Beach is beautiful and it’s easy to see why people like to live there. It was a good thing that we were in meetings every day since El Nino provided heavy rains and we even experienced a mild earthquake! I returned from the meetings excited to begin sharing the news about the positive steps LCI is taking to move forward into its second century of service. I am very appreciative that I was invited to attend because it provides a broader picture of what is happening in the association and will help me and the public relations committee as we move forward with planning. We extend our best wishes to all who serve. Congratulations on being invited to participate in the meetings at Laguna Beach. It is gratifying to see that you are getting an opportunity to share your skills and knowledge to to make a difference for Lions at the world level. We are very proud of you and the impact you are having.